Why pay for meals you can make at home, as I share my secrets for delicious chicken parmesan and Chicken Neapolitan! If you're a cheese lover these dishes are for you! When I worked as a Restaurant Chef one of the easiest and most popular dishes we served was Chicken Parmesan and believe me I understand why. Not only is it always more priced more reasonably but it should always be a safe bet. Even now when we go out to a new restaurant and I’m just not impressed with the menu, or if I really want to see how much effort they put into the food they serve I order Chicken Parm. I know what you’re thinking, why would I order something as simple as Chicken Parm? Well, it’s really pretty simple, if they can’t get chicken parm right, they’re not going to a more complicated, more expensive meal right. 1. Chicken Parm should be tender enough to cut with your fork, but not pounded so thin that it becomes tough. 2. Chicken Parm should have enough sauce on it, to get some with almost every bite, that also means sauce should go under it! 3. 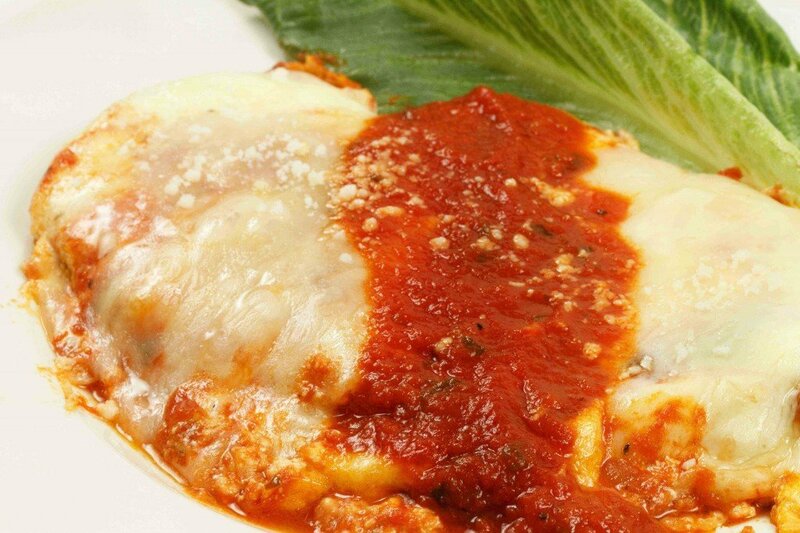 Chicken Parm should have enough cheese on it to cover 90% of the breast, comon’ man that’s why we order chicken parm for that ooey gooey melted mozzarella! 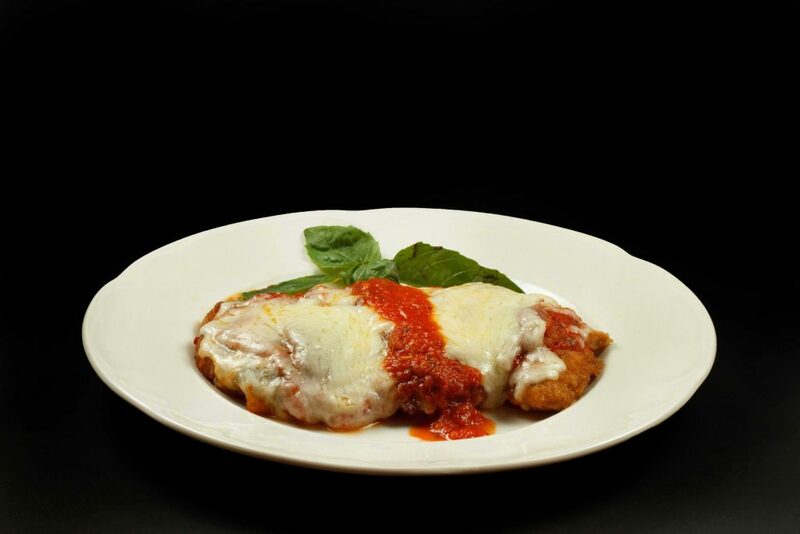 This is why I decided to do a post on Chicken Parmesan and one of my other favorites, Chicken Neapolitan. One of the keys to running a successful restaurant was always finding other things to do with the same products, because using one product, such as a breaded chicken breast for more than one entree, ensured you would use it more quickly. But the most important factor is they have to be good! When you do open the pack of chicken the first thing you need to do is rinse it off, then lay it on paper towels to dry a bit, then trim off any excess fat, or if the breasts are too big, cut them down. The best way to do that is to cut through the meat, long ways through the entire breast, or butterflying the piece that is too thick. Then place one or two breasts in a large ziplock bag and using the flat side of the meat hammer pound out the breast driving the hammer out as you pound not just straight down. (you don’t want to tear the breast by pounding too hard, you want it to spread out) . Repeat this process until they’re all prepped. Then we simply coat each breast in flour, then egg wash, then breadcrumbs and repeat the process until they are all breaded, the hard part is done! Now all you have to do is saute them until golden brown, drain them on paper towels, and then place them on a cookie sheet in the freezer until they freeze solid and then place them in a zip-lock freezer bag until you need them. Now you have a quick and easy dinner ready in your freezer for those nights you just don’t have time to cook! If you like cheese than Chicken Neapolitan is for you! It uses four kinds of cheese and is simply delicious. If that’s too much cheese for you, and you want to just do Chicken Parmesan, I’ll tell you the secret I learned many years ago from Mama Jeanette. when you set up your chicken parm make sure you put sauce under the chicken but before you sauce over top of the breast, place a thin slice of prosciutto over the chicken, then sauce and then your mozzarella. No one will even know the prosciutto is there but they’ll notice the extra flavor! 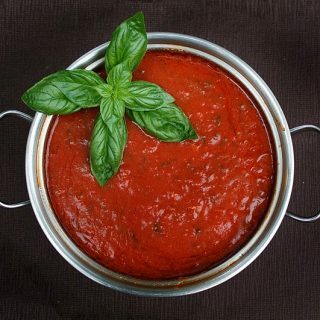 Follow this link for my Marinara Sauce Recipe. place breasts in hot oil and saute on each side until golden brown. place a little marinara in a baking dish, then the sauteed chicken breasts, now add a little more sauce on top of the chicken. spread a nice layer of the ricotta mixture on each chicken breast. Top each breast with two pieces of provolone covering the entire breast. 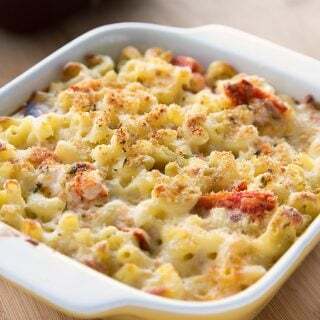 Bake at 350 degrees for 20 minutes or until cheese is hot and bubbly. Serve with a side of your favorite pasta and a little more marinara over the chicken neo. I FORGOT TO ASK YOU IF YOU HAD A RECIPE FOR A LEMON OR RASPBERRY MOUSSE . I HAVE BEEN LOOKING AT LOTS OF RECIPES , BUT I AM KINDA INTERESTED IN THE WAY YOU WOULD MAKE IT YOURSELF. I AM CRAZY ABOUT RASPBERRIES. I BET YOU COULD WHIP UP A REALLY GREAT MOUSSE WITH SOME . OR A RASPBERRY SORBET MAYBE ? Great post! 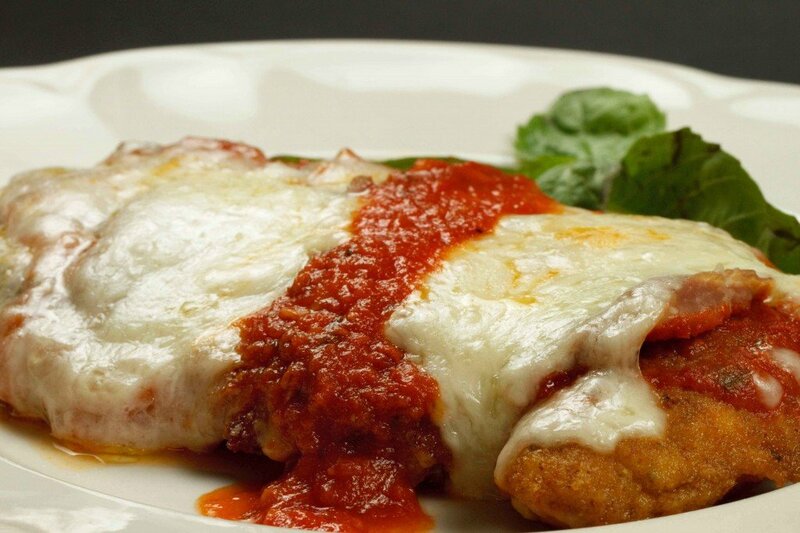 We do chicken parm quite a bit and you taught me a few new things – thank you:-). I have been to restaurants where I knew they didn’t bread their chicken at the restaurant and it was very disappointing. On the flip side, when I have been in restaurants where they got the breading piece of the chicken just right and it’s one of my favorite dishes. I also love the Neopolitan recipe and your tip on adding the proscuitto. I don’t think I have ever ordered chicken parm in a restaurant, but you are 100% right – it should be a meal any decent place can serve to perfection. I find myself avoiding chicken when we go out because it is often dry and tough – and sadly, often flavorless. 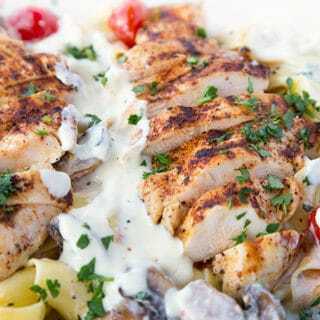 This chicken neapolitan looks wonderful and I wish I could order a portion from you right now. I can totally see why is this so popular…looks absolutely amazing! 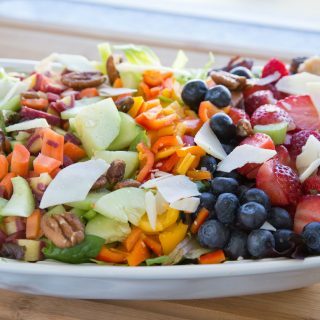 This looks fabulous, Chef! I really love the idea of the hidden prosciutto! let’s hope this recipe helps cure that! mmm, this is just beautiful. mouthwatering, really. and you are so right, it’s so weird how people will scarf down bad food! i think they are just used to it, they expect it, and they don’t have enough experience to know good from bad. luckily there are recipes like this out there to teach them. 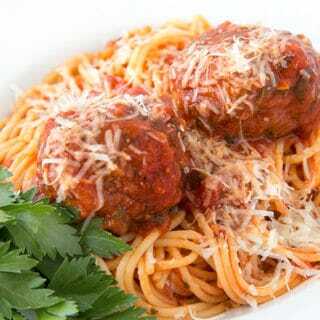 This two-for-one recipe post is a keeper — so is your Marinara Sauce (and bonus Sangria) link! Thanks for all and congrats on making your mark in foodie world! Well deserved. Wonderful recipe! I am looking forward to making this! You have no idea just how much I love these tips. I didn’t realize I could bread and cook the chicken prior to freezing it. I assumed the taste and texture would be dramatically affected. How do you reheat? Thaw first? From frozen? In the oven? Microwave? Skillet? I am going to do this ASAP! What a great idea. 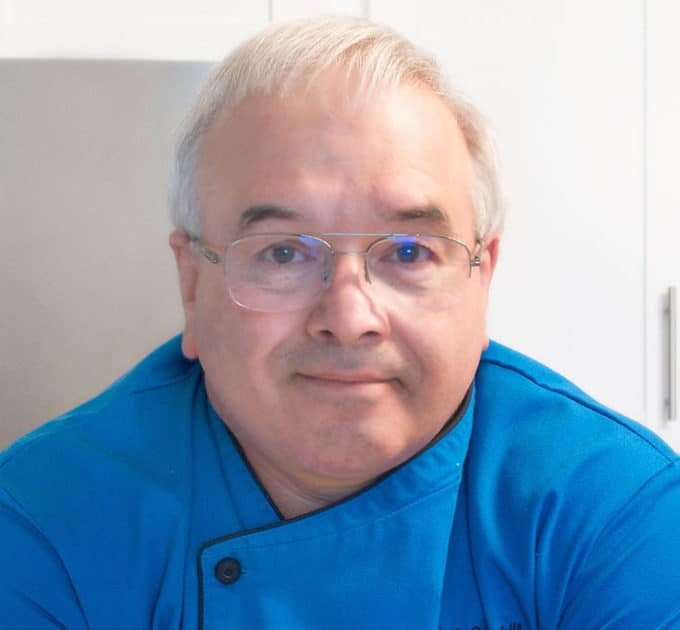 Thanks again, Chef Dennis! just reheat from frozen in the oven sauce under and over with a little water in the pan, usually for around 20 minutes, then add the cheese and let it melt for about 5 minutes, and dinner is served! Good morning Dennis. 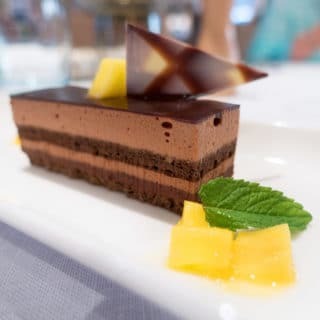 Simple and classic is always a great choice and this looks delicious. Congratulations on the Dairy Spot and thank you for the tip on the Splattered Page. Have a great week. Dennis I especially love these posts where we get a little lesson in the process! I found myself just staring at the close up photo and thinking how perfectly cooked and light the coated looked to be. Love these posts! Congrats on the dairy postings as well! Will look forward to checking those out! Love your tip of freezing the cutlets so you can pull them out whenever you need a quick dinner. absolutely five stars! this looks and sounds so good right now, and I love your ‘rules’ – every restaurant serving chicken parm needs to follow them! Happy Monday! I normally get veal parm as a treat at Italian restaurants but chicken parm is always a close second. The musts you listed above are exactly right. Hopefully the sauce has killer flavor as well.